CINCINNATI – The developers of the Banks are celebrating the riverfront development's 10th anniversary in a big way. From Aug. 31 to Dec. 2 people will be able to ride a 150-foot-high SkyStar Observation Wheel. 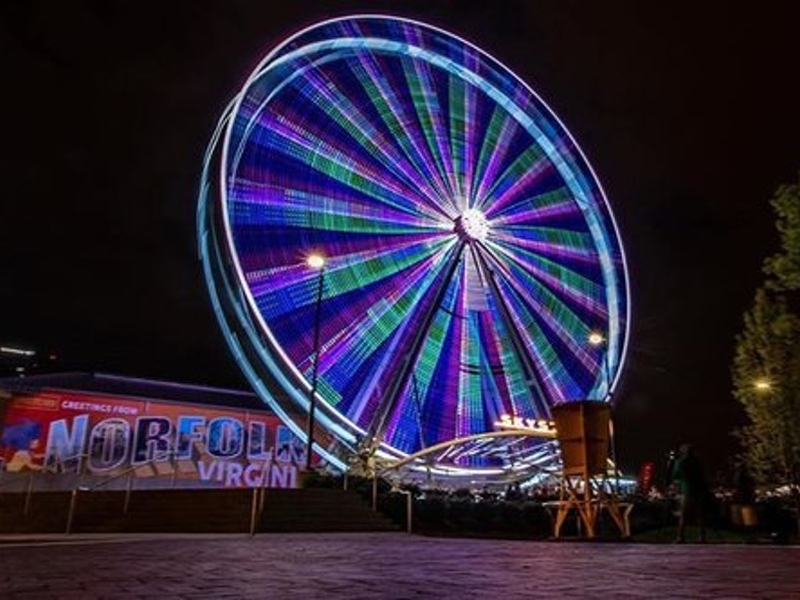 Advertised as one of the biggest mobile rides of its kind, preparations are currently underway to erect the Ferris Wheel across from the National Underground Railroad Freedom Center on Freedom Way at the Banks. The observation wheel will have 36 climate-controlled, enclosed gondolas capable of holding up to six passengers at a time. The ride operators promise a private experience for passengers, who will not be paired with strangers. The attraction is similar to the Skywheel, a 155-foot-high Ferris Wheel that thrilled guests at Coney Island Amusement Park from May 26 to July 2. A ride on the SkyStar wheel will include four revolutions and last approximately 12 minutes, according to Todd Schneider of SkyStar. Tickets to ride SkyStar cost $12.50 and can currently be purchased online at www.skystarwheel.com . Hours of operation for the wheel will be 4-10 p.m. Monday-Thursday; noon-midnight Friday; 10 a.m.-midnight Saturday; and 10 a.m.-10 p.m. Sunday.